Yes, this is Wrestlemania. 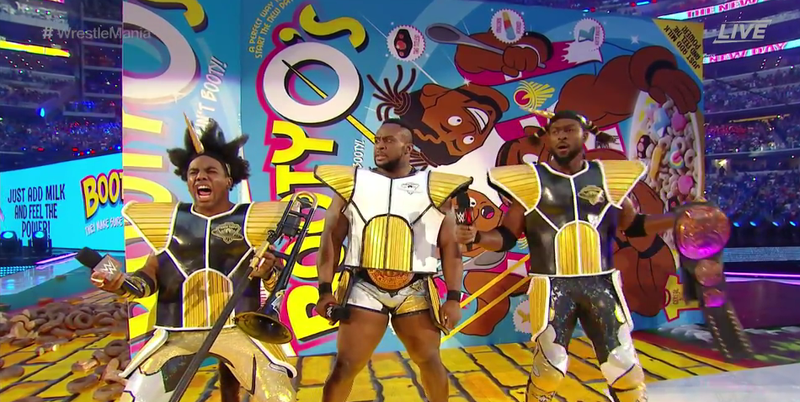 Yes, this is Xavier Woods’ New Day making their entrance in full-blown Dragon Ball cosplay. Out of a giant, assy box of cereal. An entrance for the ages.